Congratulations on your venture into the stucco industry. Whether you have been in the trade for years or you are just getting started, the whole situation is probably extremely exciting and a little terrifying at the same time. While you are probably excited to get started serving customers and making money in cities like Ottawa or Hamilton, you are probably also concerned about protecting yourself, your employees, and your business. However, when you invest in general liability insurance, you can rest assured that you will be protected in a variety of different situations such a lawsuits, equipment losses, and automobile claims to name a few. 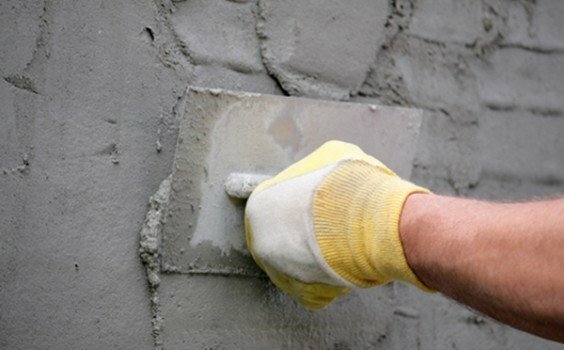 With that being said, there are several things that you need to be aware of before you just go out and blindly purchase stucco contractors insurance. For instance, did you know that not all types of insurance providers offer the most suitable coverage for your chosen field? Did you know that some insurance providers charge lower premiums than others? These are only just a few of the things that you need to be aware of before you purchase contractor stucco insurance, and these are the facts that you are going to learn about below. During your whole conquest for insurance, you will find that there are tons of different insurance providers in the Ontario province and each of them may have unique policy wordings that outline their limits & coverages of a CGL policy. However, as mentioned above not all of these providers are created equally, and not all of them are really suitable for your specific needs. Sure, they can offer you protection and coverage, but they may not have your best interests in mind. When choosing a provider, you really need to look for one that offers customizable plans. Most of the best insurance brokerages will allow you to customize your coverage and coverage amounts. So, you can specifically design your policies to protect you from the everyday liabilities that you are faced with. This will not only ensure that you get the proper coverage, but it will prevent you from paying for something that you really don’t need in the first place. When you are getting quotes, you will probably not find any two insurance providers that quote you the same amount. Sure, some of them might be similar, but none of them are going to be exactly the same. With that being said, have you truly ever wondered what factors determine the costs of your contractors insurance? Well, you should know that the industry that you are in can make a difference in the price, the number of employees that you have, the previous amount of claims that were filed against you, the amount of money you are making, and your years of experience in the field can all play major roles in the cost of your coverage. For instance, if you are bringing in a lot of revenue, have a large amount of employees, or are just getting established in the industry, you can expect to pay higher rates, as these are all things that are seen as high risks to insurance providers. However, if you haven’t had any claims filed against you, have a few number of employees, and have been in the industry for a large number of years, you can expect your policies to be a little be lower, as these are all things that are considered low risk. Different insurance brokers offer different policies along with different types of coverage. For instance, you will find that some providers offer a high deductible with lower monthly premiums, while others will offer low deductibles with higher monthly premiums. You always have to be very careful when you decide on the type of coverage that you want, because this could eventually make or break your small business. For example, the deductible is the amount of money that you are going to have to pay out of pocket in the event that there is a claim filed against your policy, while the premium is your required monthly payment for coverage. A lot of contractors will see a policy with a lower monthly payment and automatically sign up thinking that this will save the money. Sure, it is a lower monthly payment, but this type of coverage usually only offers a small amount of compensation when there is a claim filed, which means you will end up having to pay a huge out of pocket cost.